Modifying the logo is relatively simple. 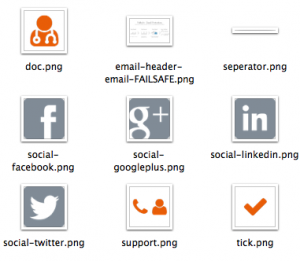 b. Upload that logo to your website hosting. Save the url. c. Find ‘yourlogo.png’ in the document and replace the full URL with your URL. There are a few links which you need to change so they go to the right place. a. the logo’s – all of the logos in the templates have a link surrounding them. Simply search for “call” and replace the text with the above. There are several places to insert your branding from colour to name. a. To modify your colour search the document(Ctrl+F) for ‘#4195c1’ and replace with your brand colour. This should be a dark-ish colour. b. Next get your company name in there. In the sub headline of the main section we use ‘In-Tuition’ – Change this to your company name. c. In the footer of the email we use a copyright which says “[your-company-name]” – replace this with your company name. Use a customer testimonial to encourage your prospects to take up your services. b. Replace this with something your customers have said. c. Don’t forget to change the ‘company ltd’ to the real customer too. Replacing the call to action is key. a. Find ‘Want more information’ and replace it with the text you want it to say. Or you can simply change your phone number. We’re at the final straight now. Let’s edit your social media details. b. Or replace the links which start /link-to- then ‘twitter’, ‘facebook’, ‘googleplus’ and ‘linkedin’ with your social links. We’re more than happy to host the assets for you however you are also welcome to do so. 1. Open the images folder in the package you downloaded. 2. Upload these to your webserver. 3. Replace the url: ‘http://in-tuition.net/assets/emails/images/’ with your image asset URL. Do a complete find and replace to ensure all images are captured. Including the separator.png file which is crucial for alignment of the email. Next we need to copy that code into an email marketing system. 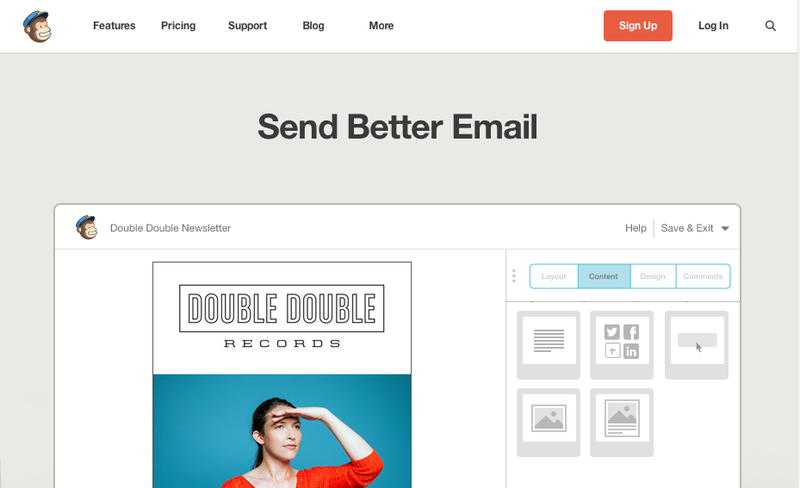 Mailchimp offers free mailing with a mailing list below 2,000 and less than 12,000 emails a month. a. Create a campaign, using the above list. b. Select the custom code option when you get to the ‘design’ phase. c. Paste in your code – that’s the full document. Be sure to test the email and check all links, and text to ensure everything is perfect before you send it.